When you hear of Candida, most likely it is because someone is speaking about Chronic Candida, which goes by a number of different titles; Candida Yeast, Candida Overgrowth, Candida Fungus or Infection etc. 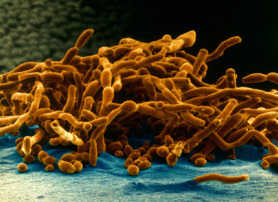 Candida itself is a fungus that lives in the gut and is normally quite harmless. But when the body becomes compromised, this opportunist Fungi spreads out of control. When this happens, Candida, being the opportunistic fungi that it is, will burrow itself into the lining of your tissues and organs, so that it can colonize & proliferate, feeding off of your body, while excreting dangerous toxins into your body. The Candida damages a number of different body systems & rendering you vulnerable to chronic illness & disease. When allowed to grow unabated like this, it causes a myriad of symptomatic issues (Merck Manual 2008; Cheng 2012; Douglas 2011). This is what is referred to as Chronic Candida or Candida Yeast Overgrowth; Infection; Infestation, etc. Over a billion people experience fungal infections every year, the majority of which are Candida fungi. Recent evidence reveals that this rate is increasing each year (Hsu 2011: Di Santo: 2010: Brown 2012: Fungal Research Trust 2011). Some experts are suggesting it is at already in the category of a Global Epidemic. can be a contributing factor in a number of different serious illnesses - again, depending on the individual's constitution, environment, stress levels, mental & physical health, etc. Because of the above mentioned difficulties in isolating the factors involved; the continued surge in the unhealthy habits & choices of modern life and the difficulty in remedying the Candida Overgrowth once it has multiplied beyond the normal range, this condition has grown to epidemic proportions in the last two decades. To narrow down the specifics of how someone really gets Chronic Candida, they often need to consult a professional. Why is Candida Yeast Infection so difficult to resolve? Candida is particularly insidious because the fungi have an outer lining that is made of Chitin, which research has shown to be a substance that, pound for pound, is harder than steel. So once your internal regulators are weakened just enough to let the fungus get out of control, your body is never again able to catch up. Day in day out, your body is working in overdrive trying to fight the raging beast. But this only weakens your system even more and the Candida Infestation is safely harbored in your body, draining you, poisoning you and generally being a very unfriendly guest. Not the Fun Guy's (fungi's) they claim to be! Here is a video discussing one woman's experiences with Chronic Candida. She offers very valuable incite on the topic of Chronic Candida. Please note, she is offering a $250 program that she developed, (additional costs about $300 in products) which involves a 12 week hyper-restrictive Candida diet (mandatory) along with a heavy supplement / fungicides protocol.